The services have just like this page access to browserdata (IP address, HTTP headers, cookies of this and its own domain, HTML code) and use the data accordingly to their own policies (linked below). For the confirmation of the cookie usage-hint and for the PHP session ID (if necessary, depending on the called page functionality). Your specified TeamSpeak Buddies and server favorites. Your specified page language and visual TSViewer preferences. To analyse website access to this site. Cookies are stored in the browser and can be seen by you, turned off (natively or through add-ons) and deleted selectively. Please note, that individual sites functions will not work without cookies. 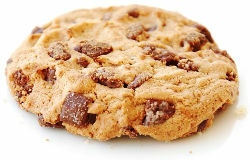 Explanations for management of cookies in browsers for Chrome, Firefox, Safari & Internet Explorer. Note: You can also manage many online-advertising-cookies from companies at the US-american website aboutads.info choices or the EU website Your Online Choices.